A criminal duo of online car dealers have been jailed for three years after being found guilty of stealing 13 classic Minis and trying to sell them on auction website eBay, reports the Echo. Sam Metten of Polsteads and Stephen Fiddimore of Shearwater received three year and three-and-a-half year sentences respectively for conspiracy to steal motor vehicles. 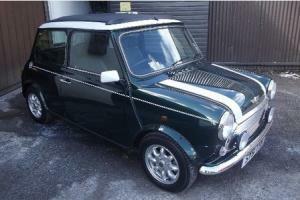 Both men pleaded guilty to the charges, after police investigated their lock-up garage in Kent, from where the pair ran an eBay business specialising in stealing, modifying and attempting to sell on classic Minis. All car dealerships need to have high levels of security in place, as well as good insurance policies to protect their business from the ever-present threat posed by thieves. As well as your motor trade insurance, it’s also worth considering business interruption insurance. This type of cover provides a payout if a business forced to close for a period due to crime. The Metropolitan Police, who raided several addresses linked to the men in Kent, believe that the duo had stolen more than 40 vehicles in Kent, Essex, and London between August 2014 and May 2015. Mr Metten and Mr Fiddimore used specialist knowledge to gain access to the vehicles and then hotwire the immobiliser systems to drive them away. Detective Inspector Caroline Clooney, who was part of the investigation, said: "These men systematically targeted the owners of classic Minis across the south-east. "Many of the vehicles had been lovingly restored and were the owners’ pride and joy. Discovering that their cars had been stolen obviously caused them much distress and inconvenience."